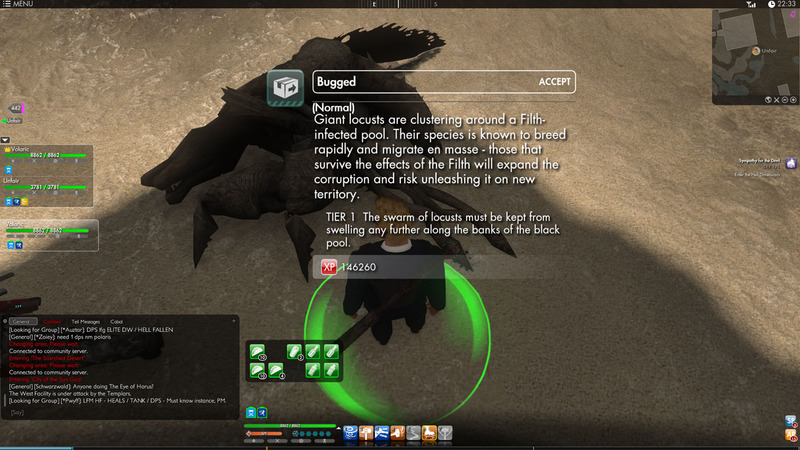 When you do damage to the Locust Mounds, they will start having Insects come out to attack you as its HP gets lower and lower. If you have the gear to stand there and AoE, go for it. Otherwise attack the mound until a bug comes out, then switch to the bug, kill it before going back to the mound. Rinse and repeat. After Destroying 7 Mounds, look for the Marrowplague Swarm Host in the middle of the mini-lake. Slay it to complete the mission. Chain lightning is a bad idea here. anybody know what to do if the bug boss despawns?